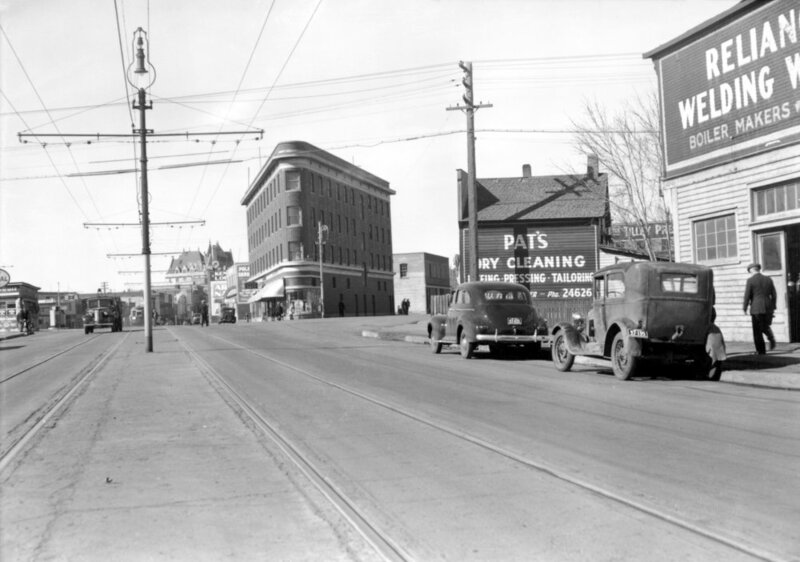 The Town of Edmonton was first established in 1894 and encompassed the modern Boyle Street area, which served as Edmonton’s original “downtown”. The site and immediately adjacent areas were part of this original Edmonton development, comprised of a wide variety of residential and business interests. With a population of 5,000, Edmonton became a City in 1904, and then became Alberta’s new thriving capital. Growth in the area thrived for many years, with the Boyle Street area "serving as an incubator, welcoming successive waves of new immigrants, and often referred to as Little Europe," notes one historian. "It must have been a wonderful place in it’s time, a bustling, real city scene. It was quintessentially Edmonton, a lot of colour and excitement." Through the mid 19th century, development and excitement began to shift west and to other parts of the City. Business closed and people moved. Recognizing that this area, now called The Quarters, would once again serve as one of Edmonton’s cornerstone communities, Stan Sr. began acquiring land in the area, with the first parcel of the tower site purchased in 1959. Shortly after acquisition, Stan Sr. and Stan Jr. often stood on the land and dreamed of the possibilities that would one day exist. And so began the journey to acquire the additional parcels needed for such an ambitious vision. With the last of the required private land secured in the recent years, design for this tower project began. After much consultation, and with an eye to honouring a father’s legacy and celebrating all those that have built this City, the iconic mixed use tower and park you see today took shape. History has been a key design element in all aspects of this project. Historic brick has been collected (many tens of thousands coming from the Riverdale brick yard, which matches the old brick buildings in the area), and other building materials which have been part of Edmonton for the last 105 years or more.